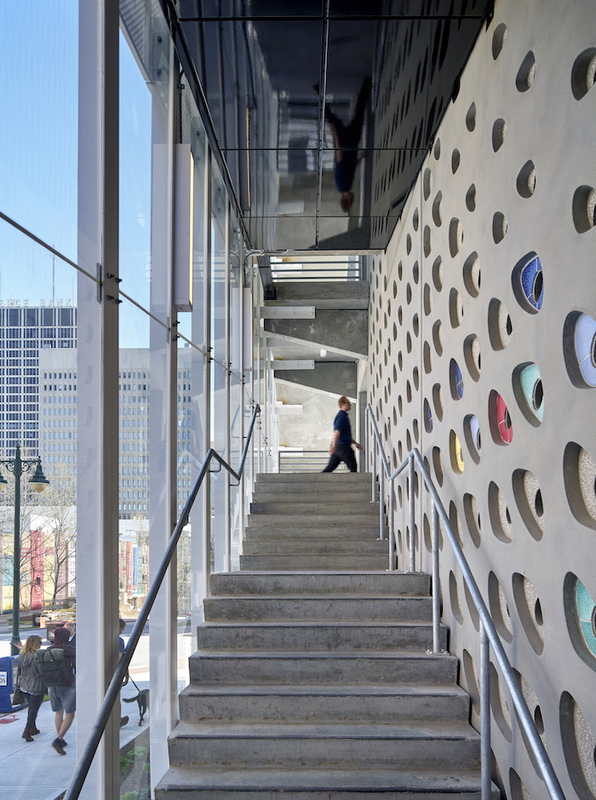 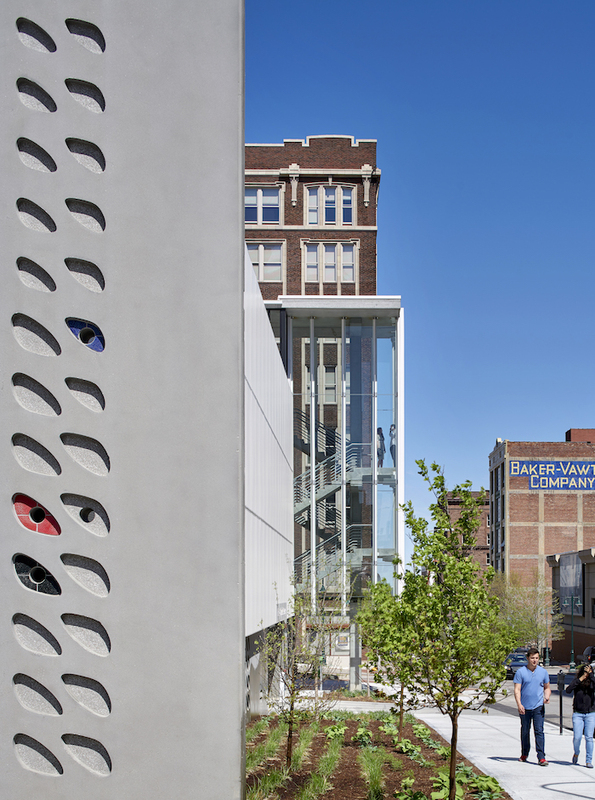 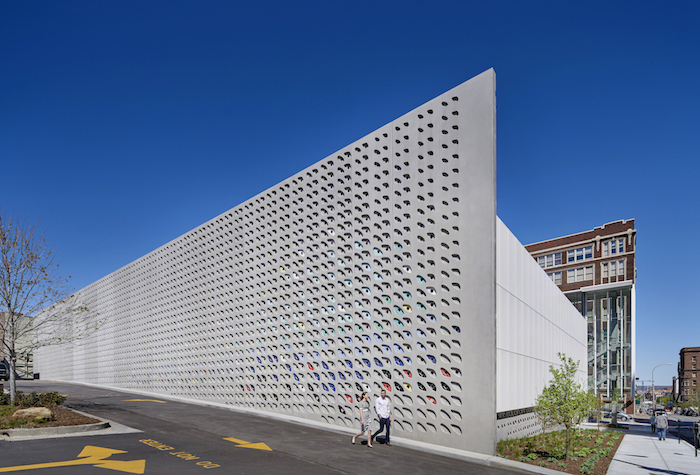 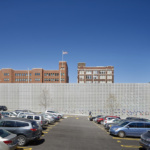 A collaboration between an architecture firm and a ceramics artist provides much-needed parking in the urban core of Kansas City, integrating green space and artful possibilities. 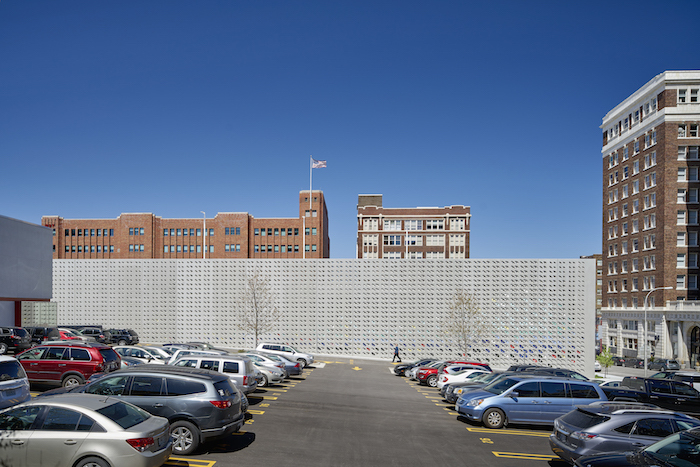 The artist’s process for crafting the ceramic inserts was a thoughtful effort to make the garage beautiful from a distance and to the touch. 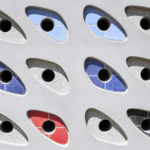 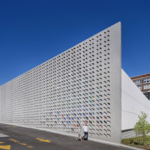 A palette of eight colors makes the tiles visible from far away and contrasts with the precast concrete. 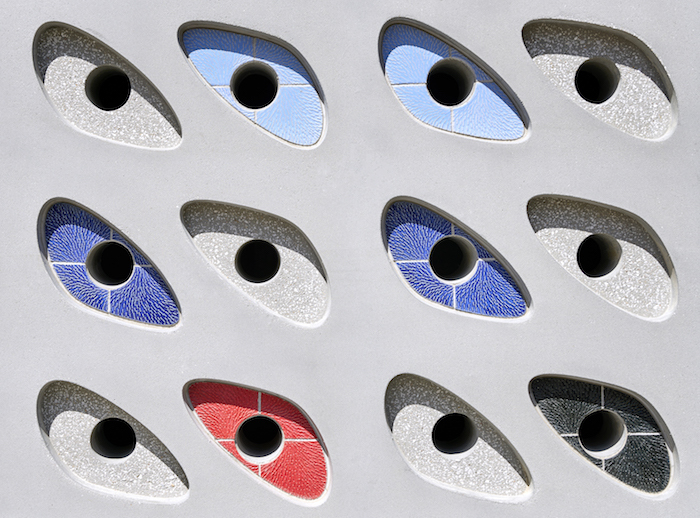 Up close, there is a subtle pattern on the tile surfaces. 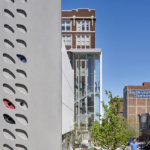 The team made the conscious decision for the ceramics to be the only rounded shape in the design, softening the hard, orthogonal lines of the structure. 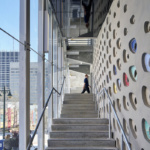 Working within code and building requirements, and collaborating with the engineers, the artist created more than 2,000 dimorphic, stretched-out oval tiles.